What could be better than a Chocolate Parfait with fiber? You could just eat chocolate pudding but it tastes even better when you add Fiber d’Lish Chocolate Brownie to it! 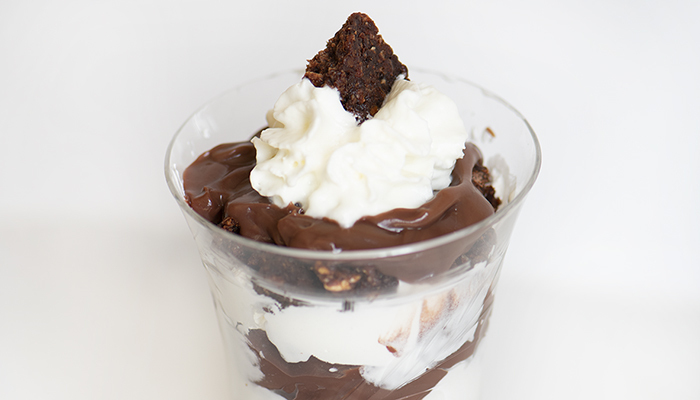 Add 12g of fiber to your Chocolate Parfait to make this dessert a party pleaser! Step 1: Cut up the Fiber d’Lish bar. Step 2: Start on the bottom of the glass with the Fiber bar then layer with cool whip and pudding and repeat layers until you reach the top of the glass. Top each parfait with whipped cream and one piece of Fiber d’Lish. Refrigerate and enjoy!